The role was offered initially to Nora Aunor, but due to some misunderstanding between the actress and the director, the production team decided to look for a replacement, and Sylvia Sanchez was it. For sure, you’ve read somewhere about the exchange of communication between Aunor and Ronald Carballo (he wrote the screenplay and directed the film, titled Jesusa) that led to Sanchez’s replacing the superstar for the role. Jesusa has been in Carballo’s dream of a movie and he’d do it only if the superstar agree to play the lead role. Initially, she already did, but along the way, something got in the way and seemed it could be the reason the film would either not be done at all or be delayed. But Carballo was itching to shoot it, and he did sans Aunor. The film is about a woman (Jesusa) and how she sinks into the mire. It is set in a rundown community where she leads a normal life until circumstances drag her to be swallowed by the low lives of her neighbor. 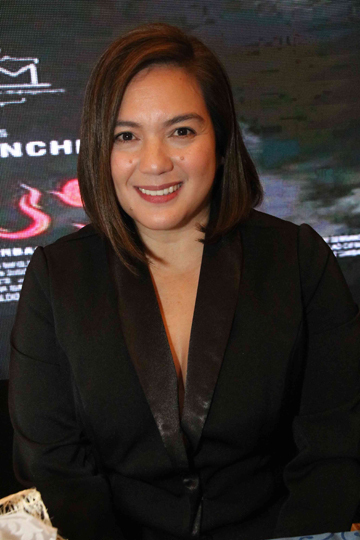 Sylvia is joined in the film by Allen Dizon, Empress Shuck, Ynez Veneracion, Vince Tañada, Beverly Salviejo, among others. Two former dancers are executive producing the film, siblings Jean Hidalgo and Junelle Rayos. Carballo said that Sanchez fits the role perfectly and she made sure that his vision of the film is what exactly the audience will see onscreen when it’s finally released in theaters. Some quarters were saying that the film has used Nora Aunor for its publicity, but I am certain she wouldn’t be if some writers didn’t ask questions about the initial casting of the film. But, that’s how the movie business goes in the Philippines. All these on your favorite science show every Sunday morning on GMA. Zoomanity Group Parks presents Power of Three: a floral, a vegetable and agri-livestock festival until March, with seminars every Saturday from 9:00 a.m. to 12:00 noon. It’s free and participants are provided with free seeds, too. And free training on Banik’s, Jam and Juice Making is also provided. Other agricultural activities are vermiculture, bokashi soil, hydroponics plant growing, and putting up compost pits. A balanced ecosystem is maintained to keep a natural habitat for the animals and plants, which are both organically grown and nurtured. Call Camille Custodio at 63 936 2418 942 or dial 847-0413, 899-9824 or 09275899696 or visit www.zoomanity.com.ph for further inquiries or registration.